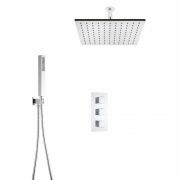 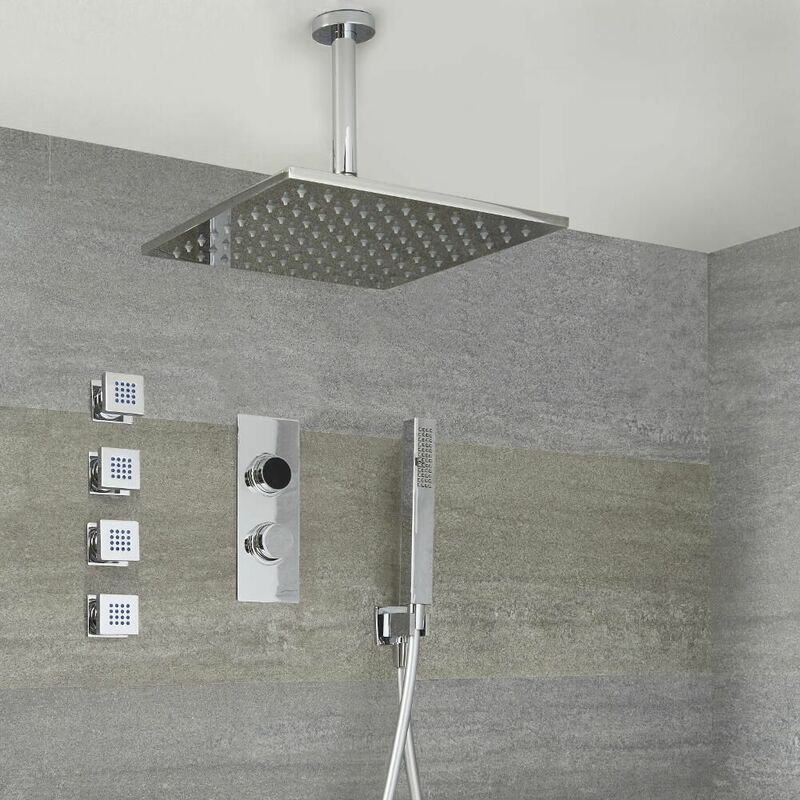 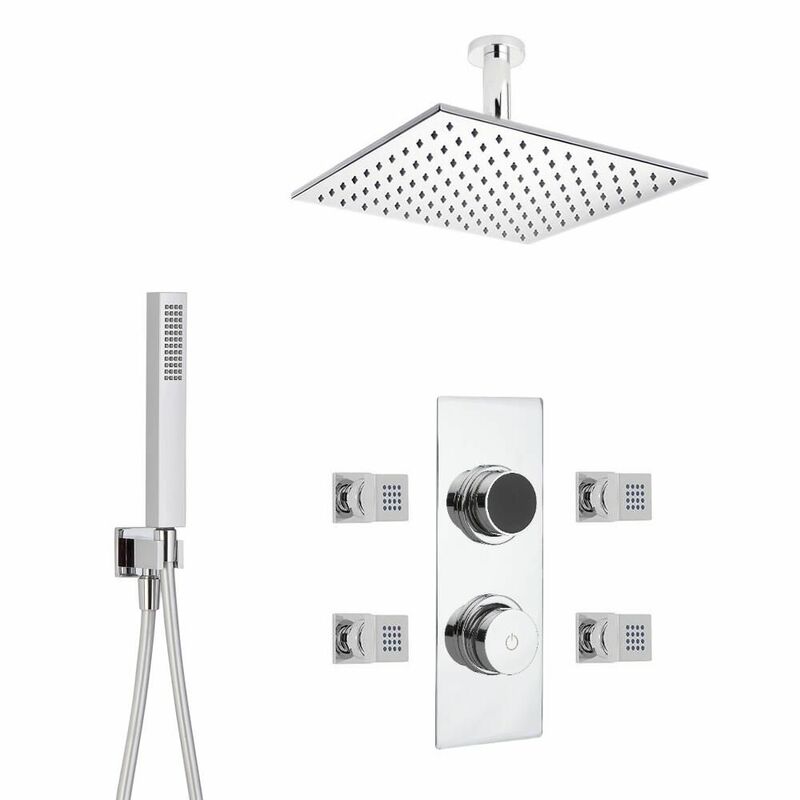 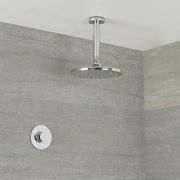 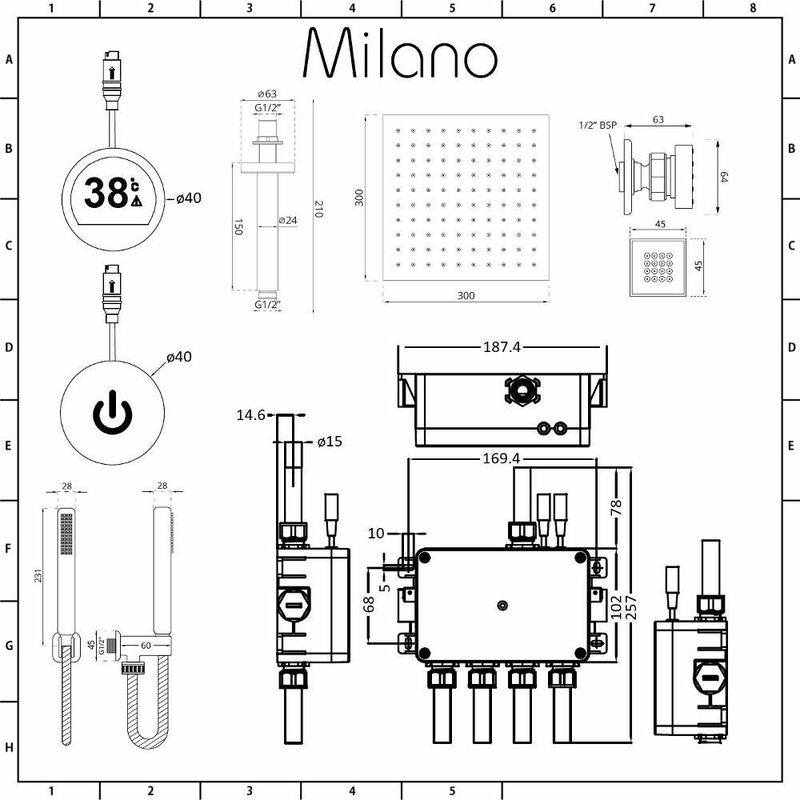 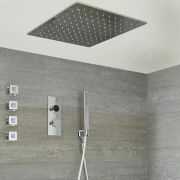 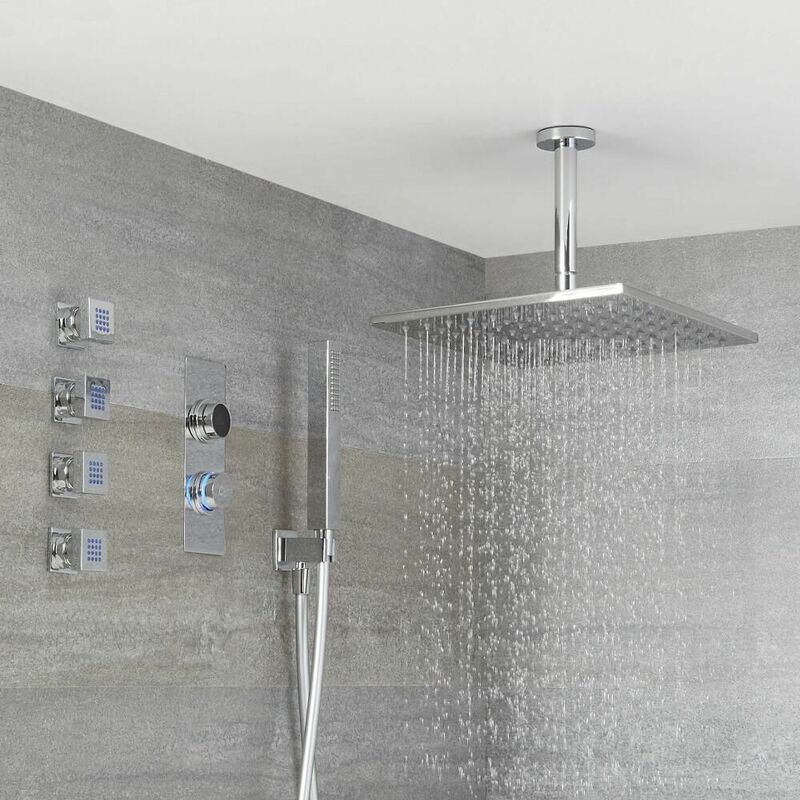 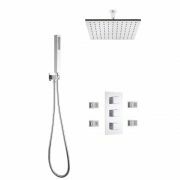 Create a smart, designer look and enjoy a spa-like showering experience with the Milano Vis digital thermostatic shower control, ceiling mounted shower head, body jets and hand shower. 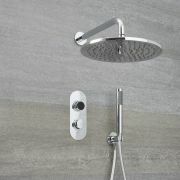 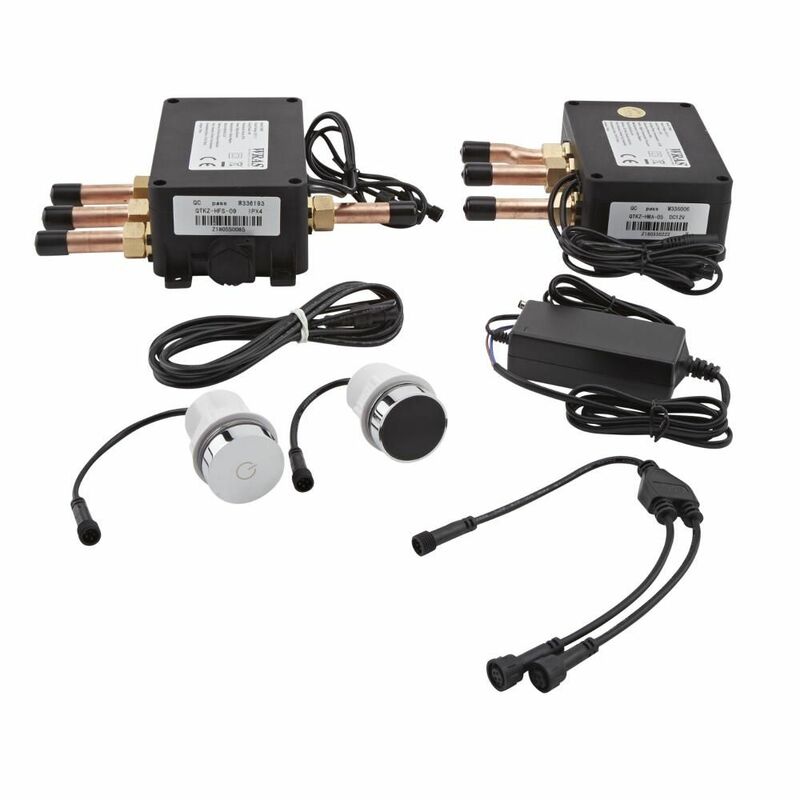 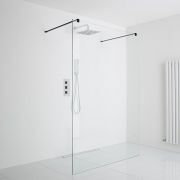 The easy to use digital shower controls the temperature and diverts the water flow between the functions. 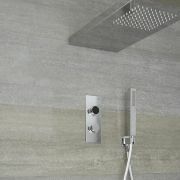 The control has a colour changing indicator for the temperature.